Recorded in 1991 at the Art of Living International Center in Bangalore, India, the Ashtavakra Gita is an extraordinary series of enlightening discourses given by His Holiness Sri Sri Ravi Shankar. This book is the transcription of the said series of talks. 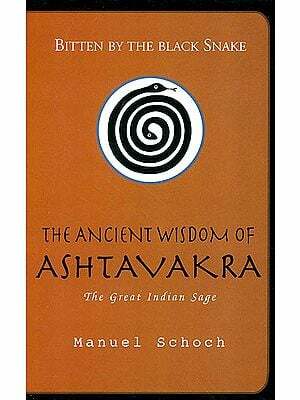 The Ashtavakra Gita examines the mind, ego, and the self with the unparalleled insight and depth that only a Master can offer. His Holiness skillfully weaves together ancient knowledge, classic stories and practical wisdom, making the Ashtavakra Gita an Invaluable tool and companion for the earnest seeker of truth. How can I gain knowledge? How can I attain freedom? How can I cultivate dispassion? His Holiness Sri Sri Ravi Shankar, a spiritual leader and humanitarian, was born in 1956 in southern India. He was often found deep in meditation as a child. At the age of four, he astonished his teachers by reciting the Bhagavad Gita. To globalise the knowledge of leading a happy, stress-free life, H.H. Sri Sri Ravi Shankar established an international education and humanitarian NGO- The Art of Ling, in 1982. Today, with a presence in over 151 countries, the Art of Living is one of the largest voluntary organizations in the world. Thousands of years ago, there reigned a king called Janaka, who had attained the highest knowledge. However, he was curious and wanted to know more despite being fully engaged in the regular duties of a king. One evening he was holding court where his subjects were talking about their problems. Reports were being read from different parts of his kingdom (so it must have been a little boring). While listening to the reports, Janaka dozed off. In his sleep he saw a dream. He dreamt that his whole kingdom was flooded. There was a famine and loss of grains, fields and cattle. Everything was lost! He became a pauper and found himself roaming from street to street as hungry as ever! He wanted a piece of bread to eat. He asked everybody but nobody had it. Finally, somebody gave him a piece of dry bread. There was a law or rule [dharma] for householders in those days. If someone else was present, they could not have food by themselves. First, they had to feed the person and then eat themselves. Since he had only one piece of bread, he was worried that he would have to share it if he met someone. So he hid it under his robe. He found a place where there was nobody and, as he was about to eat it, an eagle flew down and snatched it out of his hand. At that moment he could not tolerate it and shouted, Haaaah! When he shouted, he woke up and realized that he was In the court which was full of people! He could still feel the hunger. Maybe it was dinner time. But then he got confused. Which was real? He wondered if he was dreaming. Was the dream real or was the court real?’ He became concerned about this. What is reality? He was one who could never let go of questions very easily. So) he assembled all the scholars of the kingdom and asked them for a solution to his problem. Their solution did not satisfy him, and he was troubled by it for several days. Then someone told him that there was a man called Ashtavakra who could be approached for a resolution of his problem. Ashtavakra’s body was bent in eight places, i.e. he had eight deformities. His legs were uneven - one was long and the other was short. There were eight knots in his body. That was why he was named Ashtavakra. It meant, ‘a man with eight knots or eight bends in his body’. Ashtavakra was a brhama jnani knower of the Brhama. He was invited to the court of King Janaka. 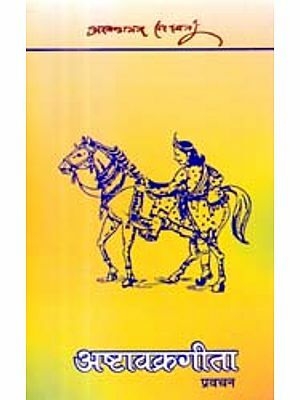 A conversation took place between Janaka and Ashtavakra. This is the most unique conversation that has ever taken place on this planet. This discussion between then) is a unique phenomenon! On one side was King Janaka, enjoying the peak of life, wanting to know about the self and reality, and on the other side was Ashtavakra who had risen to the pinnacle of existence, telling what reality is. This is called the Ashtavakra Gita. Gita means a song and Ashtavakra Gita is the song of Ashtavakra. Krishna gave the Gita to Arjuna in the battlefield amidst all the chaos. King Janaka was given the knowledge in his royal residence in a very peaceful environment. Ashtavakra was brought to the palace with all honours. Many people were skeptical about him and his appearance. They wondered how he was going to reveal the highest knowledge to the king. But Janaka was a perceptive person. He could recognize the glow in Ashtavakra; the light. It is very difficult for people to recognize truth and reality. They recognize pomp and splendour because they can just see the outer shine. They are unable to see the light or life which is beyond; which is beneath; which is deep inside. So, the Ashtavakra Gita is not for someone who has not yet started on the spiritual path. It is for those who have already started on the path and it opens up many avenues for them. In order to receive anything1 you need to qualify for it. If you receive a dress, the dress should fit you. Otherwise, it is of no use having such a dress. If you receive food, the food should be edible. Otherwise what is the use of having such food? Similarly, with something to drink; you should be able to drink it and hold it in your system. Otherwise, however wonderful it is, it will be of no use to you. Knowledge and relevance. An event or instance has reference. And wherever there is life, there is reverence. Without these three principles - knowledge, relevance & reverence, life cannot evolve. So also with Ashtavakra Gita. Certain qualifications are required to acquire this knowledge. If you go to medical school, you should at least know the alphabets. Imagine if you had never gone to school and learnt the alphabets and then had to go to medical school. What could you do there? It is the same with Brhama Jnan, the biggest and the Ultimate Knowledge. We require certain things. To begin with, only a disciplined person can be given this knowledge - someone who has reverence for life, and a discipline of the body. Usually, when we hear of discipline we think only of the body- e.g. having food and going to bed at the proper time; taking a bath regularly and keeping our body healthy. This is what we think. Discipline is listening to our body and not listening to our fantasies. After eating, your stomach is full but if something delicious is given — a sweet treat or a mango milkshake! Now you have a bit of that. Then a little more. And the next day you are unwell. This is because you did not listen to your body. You were carried away by your tongue. The body has its own discipline. It is enough if you just listen to your body. Some of us are so obsessed with our eating habits that we are at either of the extremes. You are spoiling your system. Your system has much adaptability. But if you train your system by giving it a specific food all the time, later it will not accept any other food. Don’t think you have disciplined your body! A gentleman said he had been eating only raw vegetables for many, many months. Eating only raw vegetables! Then, his body could not accept anything else. If someone has only been drinking milk all the time, his body is used to that only. It cannot have anything else. They have restricted the body’s digestive ability i.e. its elasticity and the ability to accommodate itself is gone. It is the same thing with asanas. If you are not used to sitting cross- legged, your joints become very stiff after some time. You cannot do it at all! Start sitting cross-legged gradually - not for hours at a time. A certain amount of discipline is essential for the body. Secondly, discipline is required in words and speech. Do not say anything that would create turbulence and turmoil in .the minds of others. Some people get agitated even if you don’t speak You are not responsible for that. Take a vow that, for the next five days, you will not speak any harsh words. Do not hurt anyone with your speech, for the Divine dwells in every heart. A person, whose words and speech are cultured, is eligible for Ashtavakra Gita - a person, who does not, or cannot utter unpleasant words even when he is very angry - words which will be like arrows. This is the second discipline - discipline in speech. You will see that when you start with this in your life, you’ll not get a chance to speak harsh words. Just a little change in your tone will be sufficient when matters are not moving quickly. You don’t have to yell at people! We led we must display some anger. Even in the display of anger there is no need to use any harsh words. These situations happen all around you. They say the tongue does not have a bone. That is true. This is how it goes in all directions up and down, left and right. We slap people, left and right with our tongues. This is abusing the power of speech. We have been endowed with the power of speech not to create turbulence, but to create silence. But our words go like stones, hitting the silent mind and creating turbulence all over. We have got to bear this in mind cultured speech. The main purpose or one of the main objectives of silence is to make one aware of what he or she says. If someone is demanding something which you are not capable of giving, you can gently refuse. Or you can yell and shout at them. Don’t think speech has less power; it has a lot of power. The more more we soak in the Being, the more any harsh words from us will become a curse! Our words are to bless people and bring peace in the world. So let’s take a vow not to utter a single harsh word in next five days. You shall find that it enriches your life. ‘I he third step is culturing the mind. One who has never meditated bus no right to even touch the book of Ashtavakra. 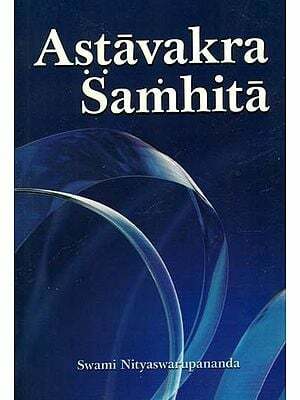 One who has never experienced stillness of the mind at any time, even for a few minutes or hours and one who has not had restful alertness, should mint touch this book or go anywhere near this knowledge. Then, it can become dangerous in the sense that one can easily make a concept out of this. It can create false notions in a person’s mind, i.e. without knowing anything; he will think that he knows 11.111. Unfortunately, this has happened to many good and sincere seekers. They had studied a bit, listened a bit and read some books. 1 lien, they felt that they know better than everybody; that they know it all. No doubt an ignorant person is ignorant, but a person who thinks he is knowledgeable is more ignorant! So, one who has done some form of meditation for at least for some period of time, is eligible to know more about this. During meditation nothing else should be done. If there is a choice between going to the laundry or doing meditation, most of you will go to the laundry! You tell yourself that you have to do your work Meditation can be done later. It doesn’t matter anyway. You just sit and thoughts keep coming. Nothing happens. So why waste time. What would you choose, if there is a choice between meditation and eating? Most will think that it is dinner time and that you better eat. You will meditate a little later. This is not wrong. You should just be aware of what is happening. Don’t judge yourself thinking that you are a bad person, and are not disciplined. Never think that you are a bad person. This is very important. You are disqualifying yourself. This is the first step! You are tearing down your own application form if you think that you are a bad person. You are not bad. So, the third qualification or requirement, is to do some practice and seva every day. 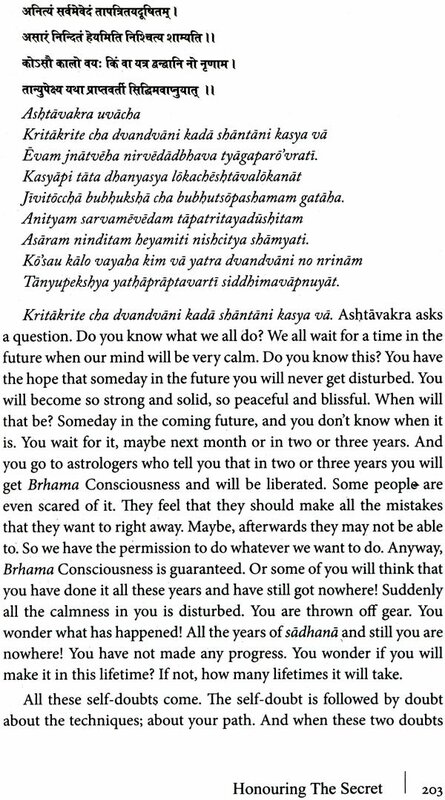 Janaka asked Ashtavakra how he could be free. What was the way to free himself. He said that he knew it all intellectually; that he understood everything. But how was he to do it practically! That was the problem. We will see how he was led, step-by-step. It is a matter of recognition. First, recognize that there is a rose in your garden. How to gain freedom? We are stuck in unpleasant things as well as pleasant things. We are stuck in good as well as bad. We are stuck in something which is joyful, and we are also stuck in something which is not joyful. We are stuck with what we have, and we are stuck with what we don’t have. We regret for what we have and also for what we don’t have. Somebody who has a big car regrets the cost of running and maintaining it; and safeguarding it. It is all so much trouble. Someone win doesn’t have a car regrets it, too. We are stuck with things. We are I tick with situations, objects and people. And we are even stuck with knowledge. ‘So-called’ knowledge has brought so much arrogance t hut one is totally stuck It has not made anyone simple, innocent and clear; hollow and empty! So, do you have these qualifications? Do you have control over your body and tongue? Except for your tongue, all the other senses only do one job. Your eyes can only see. The ears can only hear. The nose can only smell. But the tongue has two functions. It speaks as well as tastes. It has two directions. It is a double - two horses. When there are two horses, you need to have more control. There is a beautiful saying in Kannada which means your words cause laughter or enmity or hatred around you. With your speech you can make the whole world your own. All the wealth in the world t iii) be yours with your speech - truth or lies. Truth can’t be told. So whatever you say is only a lie! Even your lie should be an expert lie. However, what we do is get drunk or intoxicated in God, the Divine, Iii oneself in the morning, and tell lies in the evening! In the bhajan you sing, ‘Chita chora’ which means ‘You are a thief: You are telling Krishna, ‘You are a thief. You have stolen my mind, my heart; you have stolen everything!’ ‘Navanita chora Gopal’. Navanita means one whose mind is like butter, who is in the present moment; not like a rock, but very soft. Their heart and mind has become very soft. You even steal such people who are unattached to anything. You get them attached to you. Even the detached and the recluse mind can be captivated by the charm of the Divine. There was a tradition in ancient India to not to say anything unless it was asked for. Only when someone questioned, could the answer be given. This is a rule of the Enlightened. Though the Enlightened have no rules, certain rules are there which may or may not be followed. And one of those rules is not to say anything unless it is asked for. We all have to remember this. We go on giving advice to people when they don’t ask for it; even when they don’t need it. Everyone becomes a big advisor; a counsellor. We go on dumping advice on people when they ask. Then you have to be told to stop, but you don’t, and keep going on and on. So only when a question is asked, should one answer. And it should be asked in a proper way. Do not answer, do not talk or say anything if it is not asked for. And do not answer if it is not asked for in the proper way with all humility. One cannot demand answers. If someone does demand, never answer them. Be silent. A demanding person has no ear. They have removed their ears and kept it aside like dentures. When a person is demanding an answer, he has detached his ears and he is just asking a question. That question is not coming from a seeking mind, but from some anguish, problem or pain. The law says that then you should not answer. You should just smile and not answer the question if it is not asked at the proper time. Never answer a question if the time or place is not right.